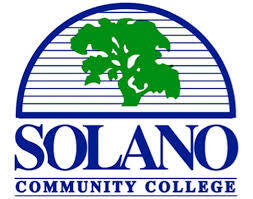 Solano Community College is a two-year college in Fairfield, California. It is part of California's public community college system of 112 campuses in 72 districts across the state. The College's service area encompasses the seven surrounding communities, including Travis Air Force Base. Solano Community College is an approved educational institution by the CA Department of Consumer Affairs Bureau for Private and Vocational Education, under Title 38, United States Code. Solano Community College veterans offerings include accepting the GI Bill, offering college credit for military experience as well as CLEP & DSST exam scores. For those on active duty, Solano Community College participates in the DoD’s Tuition Assistance program. SCC also has a campus Student Veterans of America chapter. The purpose of the Office of Veterans Affairs is to serve the needs of qualifying veterans, reservists and dependents of veterans. The student will receive assistance in filing for benefits, counseling through our Veterans Counselor on staff and we will act as the liaison between the Department of Veterans Affairs and the student. You, Veterans and Reservists, have served your country honorably, now let us serve you! Solano's classes are held during two semesters each year (Spring and Fall), plus Summer sessions. Flexible scheduling, designed for students' convenience, includes day, evening and Saturday classes, held on and off the campus, and via the web, television, home study and travel study. Short-term classes, open-entry/open-exit formats, and special interest workshops and seminars add to this scheduling flexibility.With the current student population of 11,000 almost evenly divided between day and evening, the Solano College campus is alive at all hours offering academic study and occupational training to all area residents.